With automatic delivery, you’ll be a priority customer and you’ll never worry about running out of fuel. We use smart technology to ensure your deliveries are on time, and on a schedule that’s right for you. It’s all part of our Constant Comfort Guarantee. 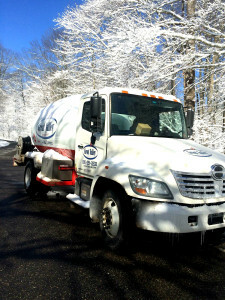 To qualify for automatic delivery, you must use propane for whole house heating. If you track your usage and call to schedule your propane delivery when needed, you would be considered a will call customer. Most propane customers who use it to fuel appliances, fireplace inserts, pools, or other sources other than whole house heating, don’t qualify for automatic delivery, so they are will call customers. We always like to remind will call customers to watch their gauge carefully and be sure to call for a delivery when their tank is between 20-30%. This makes it more likely that they will not run out of propane before the delivery is made. As a will call customer, we always guarantee a two to three business day delivery (weather permitting). Our signature Safety & Efficiency Agreement is one of the most comprehensive service agreements anywhere – designed to ensure your heating and/or cooling equipment gets a thorough yearly tune up, safety and efficiency check. With the plan you’ll be considered a preferred customer, and you’ll receive priority service with discounts up to 15% on most repairs. Plus, we always tell you the repair costs before they are made. Check voltage and amp draws on all motors. Inspect blower motors and wheels. Lubricate all oil motors as required. Set unit to peak efficiency and manufacturer specifications.